This past weekend the hubs and I high tailed it to the mountains for a winter getaway. We spent three glorious days in the Rockies, and came home feeling completely rejuvenated. While away, I took the opportunity to break out my newest sewing creation, as I recently added a third birdie sling bag to my growing collection. 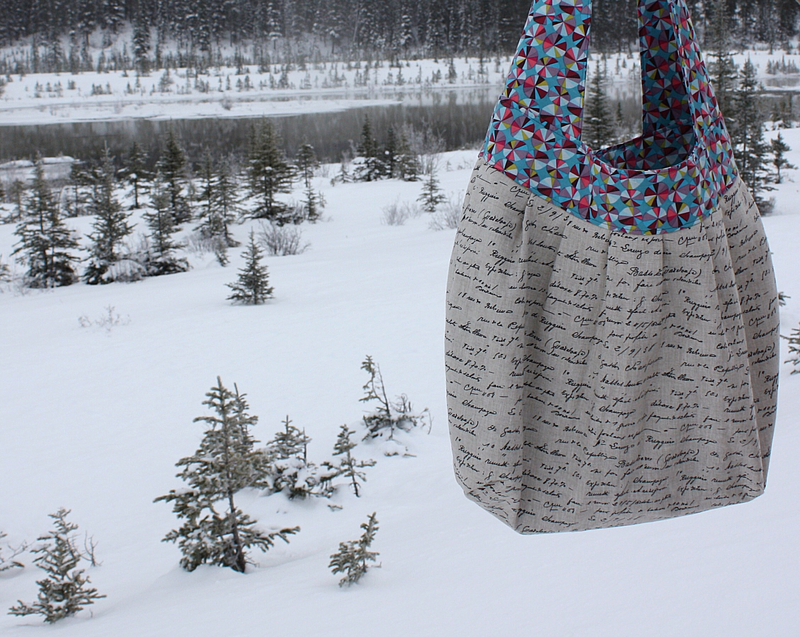 I used three great fabrics for this bag, all of which were picked up during my most recent trip to Toronto. The main exterior is a buttery canvas by La Couture (style MS 15-3); the handles are Sundials from Anna Maria Horner's newest line Field Study; and the lining is a Kaffe Fassett Shot Cotton in Aloe. To best demonstrate our time away, I'll keep the rest of this post light on words, and heavy on photos! If you are ever in the Canadian Rockies, a drive along the Icefield Parkway Highway is a must! 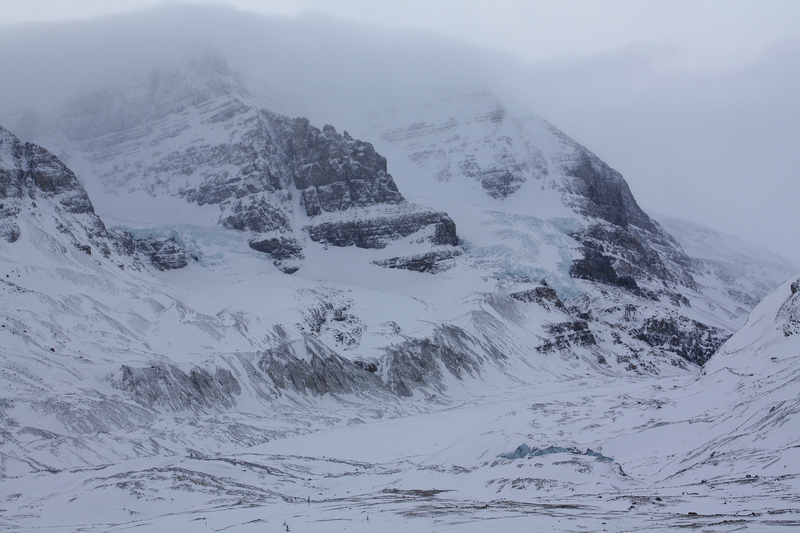 Here is the bottom of the Columbia Icefield Glacier, as spotted from the highway (you can see the icefields in three spots in this photo - click to enlarge). 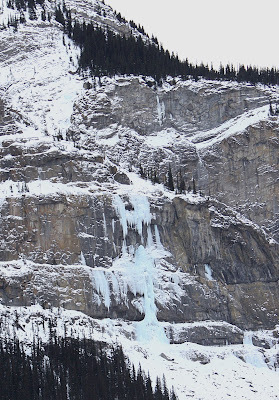 Frozen waterfalls along the highway. Pit stop on our drive up to Maligne Canyon. 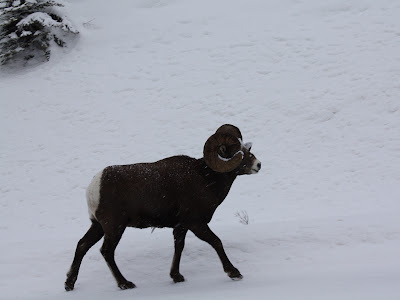 A trophy ram big horn sheep. We also saw coyotes and a ton of Elk! I hope this inspires you to come to the great white north! 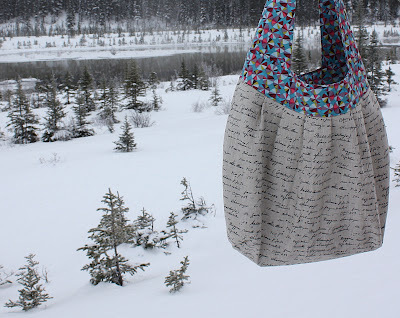 Great bag, and thanks for sharing the beautiful wintery photos too! I'm in Minnesota, and it is raining today, which seems pretty wrong for December. I'm ready for snow! Your bag is gorgeous! I have driven through the ice fields parkway - it is amazing there, I agree.